Grandstream IP phones are cutting-edge and offer a high feature to cost ratio without sacrificing quality. 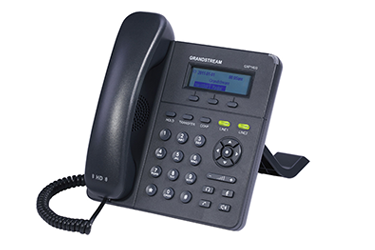 Known for their innovations, Grandstream IP phones are well suited to those who must have the latest technology. One particularly innovative model is the GXP2200 Enterprise Media Phone, which has support for the Android™ Operating System and third party applications. Grandstream phones are also easy to transition to; those who are used to a traditional business phone system often find operation to be intuitive.